We are a dedicated full outdoor design and construction company that works by a business code. 1) Treat other as you would want to be treated. 2) Maintain good communication at all times. 3) Be tidy on the jobsite. 4) Be honest and tell the truth. 5) Take responsibility and fix mistakes. We specialize in foundation repair, foundation replacement, foundation leveling, earthquake retrofitting, seismic retrofitting, slab replacement, and pier and post support systems. Our team has leading experts who use cutting edge solutions to solve complex foundation issues. Earthquake Retrofitting The seismic retrofitting process involves the installation of engineered metal connectors and other reinforcement materials at key stress points throughout your home’s structure. The specially designed hardware includes hold downs, anchors & anchor bolts, strap ties and framing angles. Wood blocking and structural sheathing may also be incorporated into many retrofit projects. The goal of a retrofit is to secure/bolt down your home to the concrete foundation. During a seismic event these reinforcements greatly increase the chances of your home surviving with minimal damage. The cost of the retrofit is typically recovered between four to six years as you save on insurance premiums. We offer free estimates to assess your property. We will then provide you with a comprehensive bid explaining what we feel is necessary to perform a correct and functional retrofit. Foundation repair Here is a list of some of the work we do. Foundation is a case by case situation that requires experts to analyze and asses what should be done to repair: Remedial repairs of cracked, settled, shifted, rotated and/or deteriorated sections of concrete perimeter foundation walls. Any type of post/pier issues (shifted, deteriorated, cracked, settled, “over shimmed,” undersized, etc. Repair of wood damaged framing/structural components in the foundation system area. Floor leveling performed on a case-by-case basis. In instances where a crawl space has debris in it that will limit our ability to perform any of the above tasks, we will also remove and haul away past debris that has been left in the space (we, of course, always remove all debris created during the course of our work). Creating additional support systems in key locations of the foundation area to accommodate existing structural deficiencies and further protect your home. Please call or message us if you have any questions or would like to receive an estimate. 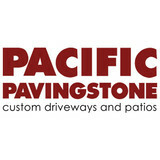 THE PAVINGSTONE PROFESSIONALS Since 1999, we have been installing paving stone driveways, patios and pool decks. We have earned a spot on the Inc. 500 list of fastest growing companies in America two times. We have a reputation for excellence and unparalleled quality of service around Southern California. Pacificland Constructors has the resources, people, and experience to deliver world-class performance. For more than 15 years, Pacificland Constructors has always delivered. From complete custom masonry and concrete design to construction, Pacificland Constructors does it all. Our team at Pacificland Constructors is your one source stop for all masonry and concrete projects as well as design and engineering services. Here at Pacificland Constructors, we understand that every client is unique and we invite your inquiry to discuss any current or anticipated home improvement and commercial construction projects through all phases of construction and implementation. We’ve evolved into one of the most respected residential and commercial construction companies in the Los Angeles and Orange County areas. At Pacificland Constructors, we build quality projects safely, on time and on budget, no matter how large or small. Our purpose is always to meet the needs of our clients while providing quality service and excellent craftsmanship, at an affordable price. We invite you to visit our web site to learn what’s new and discover the differences that will make Pacificland Constructors your choice for design and construction needs. We look forward to serving you and helping you turn YOUR vision into a reality. 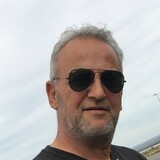 Martin Ruvalcaba founded Pacificland Constructors Inc., in 1995. After working for several construction companies he realized it was time to pursue his passion of helping others turn their construction vision into a reality. Pacificland Constructors is located in Southern California and has a team of 10 full-time employees who are at your service. Since quiet beginnings in 1993, Genesis Stoneworks grew to become one of the largest interlocking paving companies in California. Genesis Stoneworks provides the highest quality installation with genuine care about how we treat our customers. Our reference list speaks loudly and clearly. We provide punctual, professional, quality installation with absolute integrity to our customers. From installing new exterior columns to repairing your chimney, masonry contractors can help you add both visual appeal and value to your property. They’ll know what kind of installation makes the most sense for your Los Angeles, CA climate and regional style. Looking for something that will develop a patina with time? Or would you rather have your home feel brand new for years to come? Choosing the right kind of stone involves thinking about the future, too. Experienced brick suppliers and stone suppliers can help you find the material that will work for your home now and for years to come. These professionals aren’t limited to exterior work either. Whether you want a split-stone granite wall in the kitchen or need help installing traditional brick masonry on your fireplace facade, you’ll want a professional to get it right. If you’re already working with an architect or designer, he or she may be able to suggest a good Los Angeles, CA subcontractor to help out. Here are some related professionals and vendors to complement the work of stone, pavers & concrete: Landscape Architects & Landscape Designers, Architects & Building Designers, Garden & Landscape Supplies, Driveways & Paving, Siding & Exteriors. Find stone, paver and concrete professionals on Houzz. 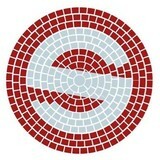 Search the Houzz Professionals section for Los Angeles, CA stone, paver and concrete professionals. Browse photos and read reviews, and contact a pro if you like their work.